Siegfried Linkwitz was a well known reference in the Audio industry and will be dearly missed. His work ranged from filtering to speaker building and has been referenced/used by many designers worldwide. The Linkwitz Lab website is a goldmine of information on advanced filtering, speaker building and even basic concepts of acoustic and speaker design. A reference website for any audio designer! It's no news that our platforms have already been used many times to perform filtering and processing of few Linkwitz Lab speaker designs. We are always amazed at the creativity of our members and once again give you kudo for your work! Finally Dave Reite took it one step further. 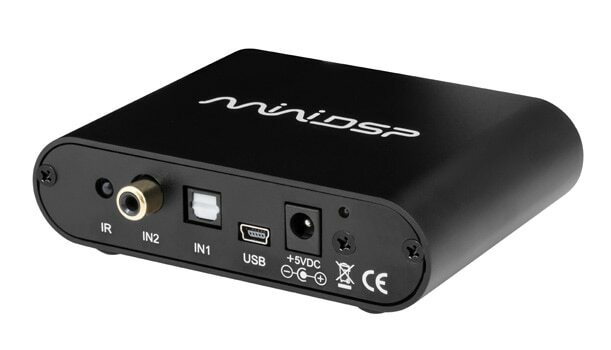 By building a complete DSP configuration for the LX521 monitor and submitting it to Mr Linkwitz for review, a new wave of oportunities opened up for the miniDSP community trying to build the LX521. Here is a bit of the story of the LX521 powered by miniDSP with all Kudos to Dave Reite and Siegfrid Linkwitz for giving our platform a good challenge! For more info, please check the DSP challenge here on Linkwitz Lab website. After more listening by myself and an experienced audio professional I can state that Davey's LX521 DSP prototype is without reservations an excellent alternative to the ASP in a stereo system application. All credits for building and engineering this nanoDIGI 2x8 solution goes to Dave Reite. All credits for pictures of LX521 monitor, diagrams and other technical aspects of the designs go to Linkwitz Lab.